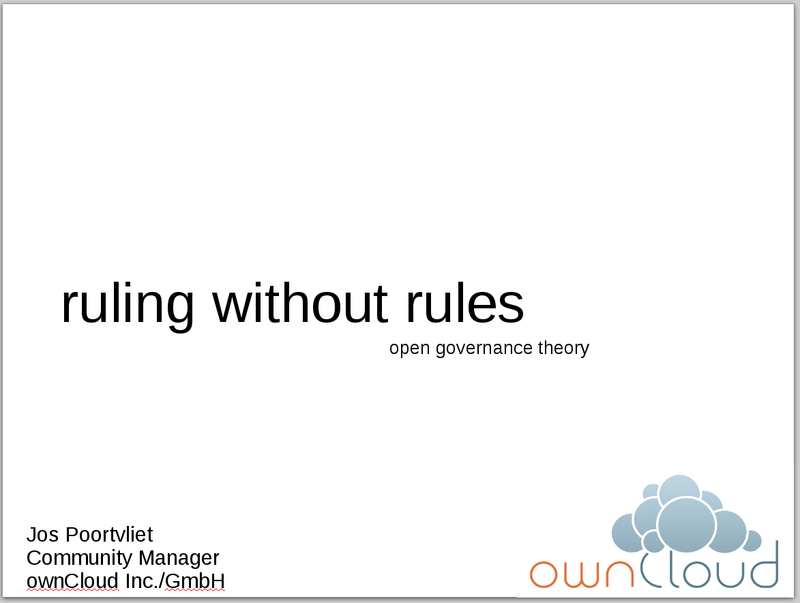 About 18 months ago, I put together a presentation on open governance for the Summit of New Thinking. Last week, as a side event to LinuxTag, the European Community Leadership Summit took place, co-organized by +ben van 't ende, a friend of mine and fellow community manager. +Mirko Boehm and myself gave a talk about community governance. I unfortunately couldn't stay long enough to have proper discussions on the subject, but the presentations before and after ours were very inspiring (especially the one by +Ruth Cheesley). The slides are probably not terribly useful on their own, though.